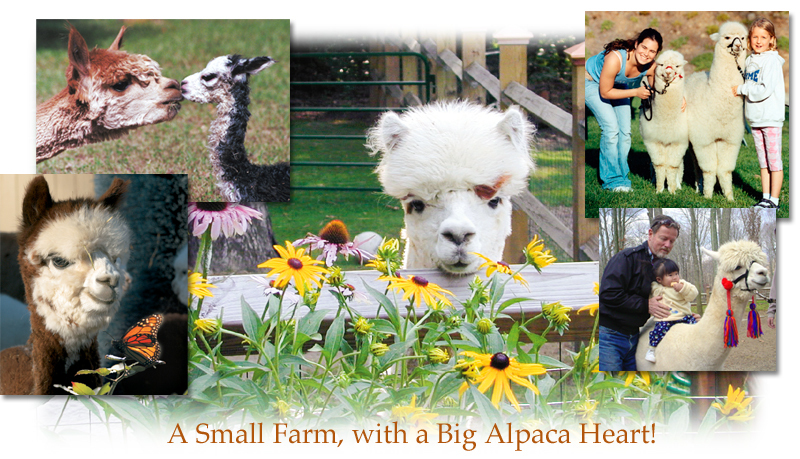 Burgis Brook Alpacas located in Canterbury CT, on 43 beautiful acres of rolling hills and forest. We’ve created a charming environment for country living here in the quiet corner of Connecticut, known for scenic roads and stone walls to antique shops and historic homes. This 285 year-old farmstead has been a challenge as we clear and reclaim the once-was hayfields. Although it has never been an alpaca farm, there has been cattle and sheep grazing these acres in the days of ole. The farmhouse holds its original paneled walls and floorboards and has been upkept and updated thoughout the years by gentle owners that have unveiled its secrets, upheld its integrity, and graciously appreciated its quaintness. On the farm, we grow five varieties of hardneck garlic which we sell as seed stock and supply local farmers markets and “farm to table” eateries. Our beeyard produces delicious honey while pollinating fruit trees, vegetables, hardwoods and a nearby vineyard. It’s a wonderful lifestyle to be able to use sustainable growing and farming practices and the rewards far outweigh the sweat equity put into the farmstead. These acres are dotted with Peruvian Huacaya Alpacas as we raise, breed and harvest their luxurious fleece and make yarn, roving and accessories from their fiber. Our experiences range in continuing show-ring successes, fiber training, workshops, medical seminars and hands-on labs, marketing, breeding, husbandry, national and international alpaca conferences. 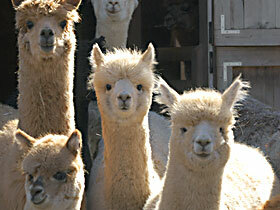 We also consign alpacas from other farms, board and offer creative services to alpaca breeders. We pride ourselves by creating friendships and hold high standards in our business practices. By networking with reputable farms we can provide existing farms and startup farms with services and breeding stock that meet specific budgets and breeding programs. As a full-time farm, we’re able to offer a diverse range of services, always available to answer any questions you may have related to the breed, the husbandry, the organization and the philosophy of being an alpaca owner. We are a small farm with a big heart for alpacas. Come and share in our alpaca experience. Visitors are always welcome. What does it mean to be part of the CT Fibershed? BBA grows, processes and hand dyes our own yarn and roving. Our milled yarns are produced right here in Connecticut and naturally-dyed on the farm.